Living dairy free, or should I say without cheese, sounds like a sentence worse than death to most people. I know I thought so when I decided to cut all dairy from my diet about 18 months ago. Was it hard? Yes. Is it still challenging at times? Yes. Was it worth it? Absolutely! 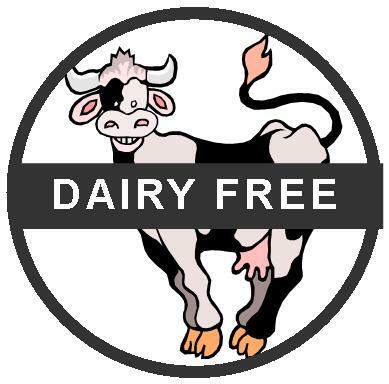 Whether or not to try a dairy free life is a decision that is beyond the scope of this article because symptoms and the reasons for those symptoms vary. Find a good functional medicine doctor that is very well-educated on how to treat metabolic issues naturally to help you with this decision and be your lifetime wellness partner. The purpose of this article is simply to share some of my tips on how to live dairy free. Adopt All Things Coconut! Coconut oil, coconut butter, coconut flakes, coconut water are all your friends. By now, I’m sure you are aware of the amazing health benefits of coconut. Its great on veggies, baked potatoes and as a substitute for every cooking oil for stove top cooking. The difference between coconut butter and coconut oil is that the former has all parts of the coconut (including the meat) while the oil does not contain the meat. Both are great but I find the oil easier to use.2. Replace cow milk with almond, cashew, rice, or other non-dairy milks. Try them all to find your favorite. You can use them all in recipes that call for milk. 4. Try pizza without cheese. You would be surprised how good it is without it. Also, some pizzerias offer a “white sauce” made from a garlic oil. Some white sauces contain cheese. Be sure to double-check. 7. Talk to your waiter or the chef. When eating out, talk to your waiter. Ask them if the chef can make the item you want dairy free. You’ll be surprised at how often the answer will be, yes! 8. Try some of these dairy-free cheese options – cashew (or other nut cheeses), nutritional yeast, Daiya (it melts), tofu-based cream cheese. Admittedly, some of them are not so great and/or contain soy (which I do not eat), but everyone’s taste is different and if you are really craving cheese, one of these might do the trick! 9. Bring a dairy free dish to a party. Until I learned this trick, the hardest situation to be dairy free was when I went to a party with lots of dairy appetizers. Now, I make one of my favorite dairy free recipes and bring it along. This way, I know I’ll always have something I love to eat. Hint: never tell people its dairy free; most of the time, no one will ever know. Hopefully, these ideas create some excitement (instead of dread) at the prospect of being dairy free. I promise that if your health journey includes being dairy free, it will be worth it!